Ellen's very bohemian sister Deirdre also pops in unexpectedly for a visit, who actually helps Ellen loosen up and come to a few personal realizations about life in general. Don't let this book's title and cover mislead you - although Girls of Summer qualifies as the perfect summer beach read, this contemporary romance is one of the best in its genre. Bretton never fails to let her readers down by crafting novels full of fun, happy, romantic stories that make you forget about your own life-problems (should they exist at all)! The sleepy, New England small-town setting is perfect for this story, and the gossipy nature of the town's residents only adds spice to the novel. I thought Girls of Summer to be particularly unique because the story pretty much starts out backward, considering Ellen and Hall sleep with one another at the beginning of the novel before embarking on true romance. Of course, in most contemporary romance novels, the romance happens first! Bretton writes Girls of Summer so tastefully that fans of general fiction and literature will also really enjoy this novel! This one is definitely a keeper to store on the bookshelf - guaranteed to please house guests, visitors, and probably your mother or mother-in-law! The first novel in Bretton's Shelter Cove series is Shore Lights. 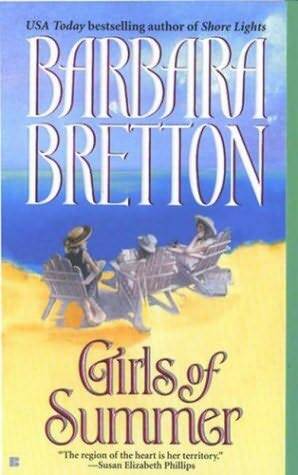 Other great novels I've read by Barbara Bretton include Starfire, Somewhere in Time, Sleeping Alone, The Day we Met, and Forever in Time. Actually, who am I kidding? All of Bretton's novels are fabulous! What are your favorite contemporary romance novels? Who are your favorite contemporary romance authors? Share your thoughts with us in the comments section below this review.